When I got my hands on my Trish McEvoy Makeup Planner - link, a couple months ago one of my first thoughts was - this is so great! Why haven't other brands picked up on this & done their take on it? It seems like Laura Mercier read my mind as she has created a new limited edition Custom Artist Portfolio For Home & Away. 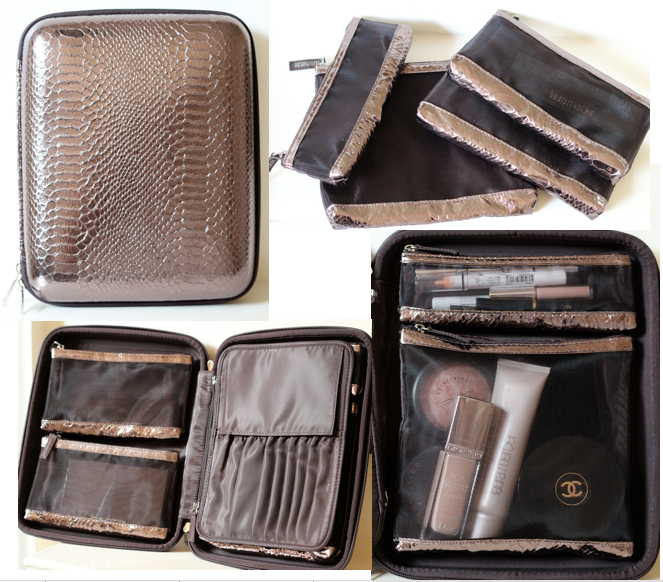 A deluxe makeup case that contains special compartments for all your cosmetics, brushes, eye liners, eyeshadows & face products! 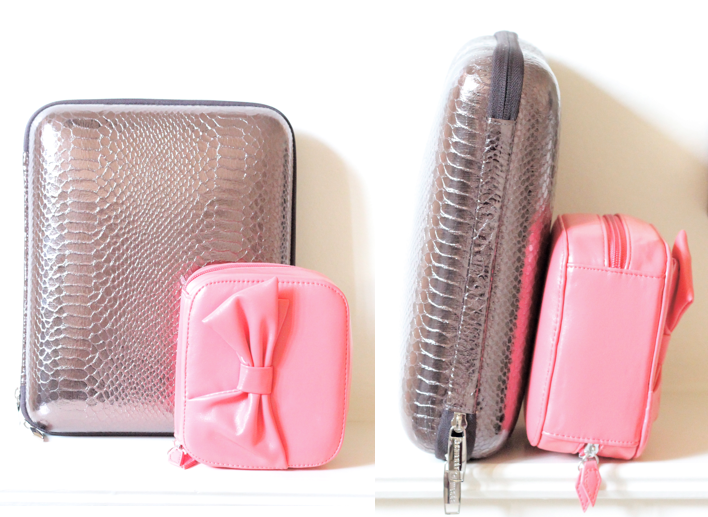 Housed in a beautiful metallic snakeskin planner this is just a girls dream! 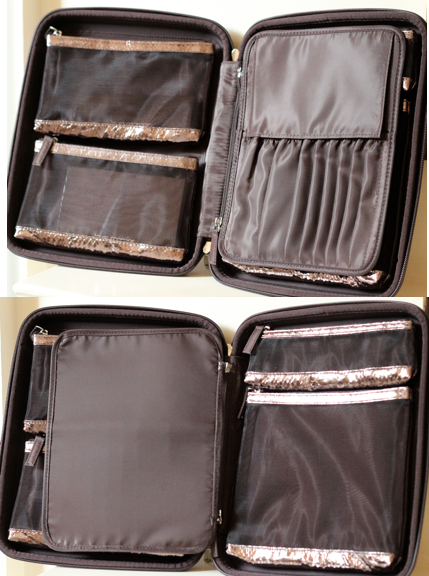 Everything you use all in one handy place - perfect for travelling. - What I was most disappointed about - only Laura Mercier brushes will fit in the brush holder (apart from two slots) My Dior, Real Techniques & Louise Young brushes wouldn't fit! 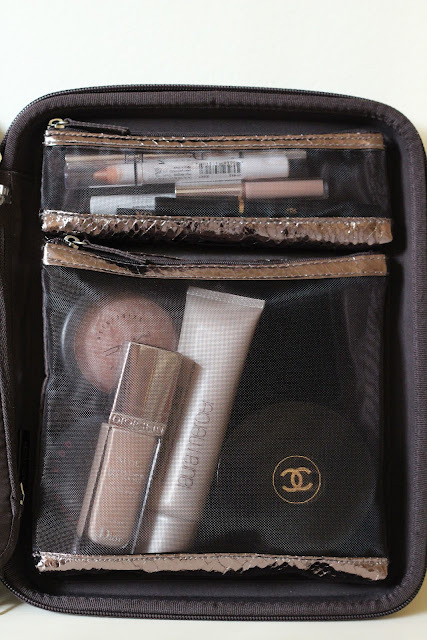 Overall if you're looking for a handbag size I would recommend the Trish McEvoy Petite Planner but the Laura Mercier Portfolio fits much much more & is perfect for travelling! They would also make fantastic gifts! These are £65 and are limited edition. I expect they will sell out fast so hurry! 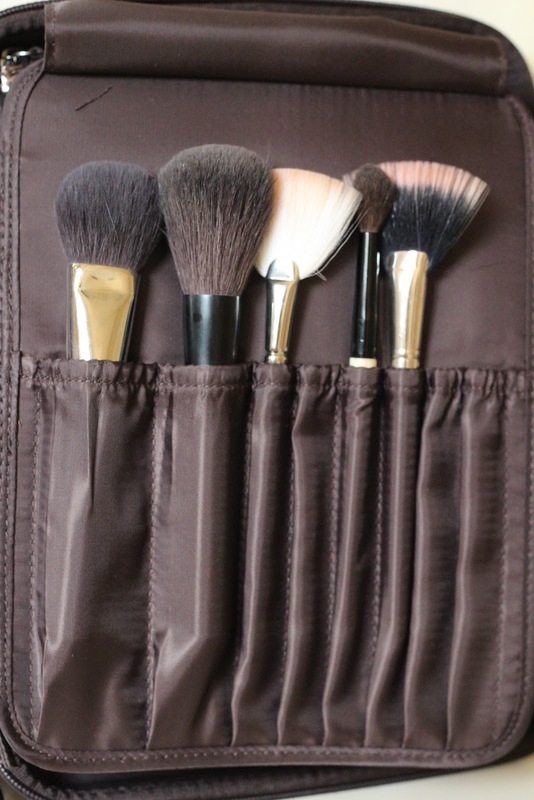 When I got my hands on my Trish McEvoy Makeup Planner - link, a couple months ago one of my customized carrier bags first thoughts was - this is so great! Why haven't other brands picked up on this & done their take on it? It seems like Laura Mercier read my mind as she has created a new limited edition Custom Artist Portfolio For Home & Away.